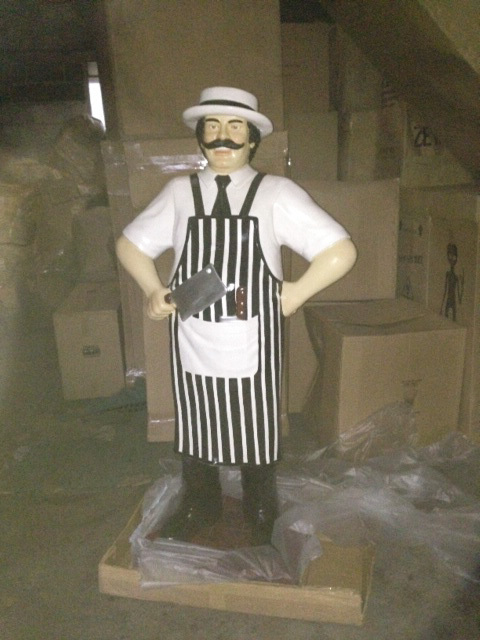 This model is exclusive to The JollyRoger, you will not find it anywhere else. Designed, created and produced in-house. These models come in various colours, if you would like a specific colour, please call 01626 833646 to confirm which colours. 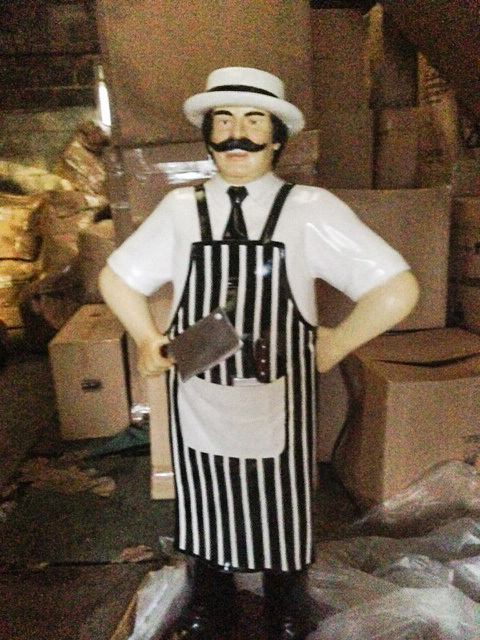 This model of a Butcher has great detail throughout, from the smile on his face to the wrinkles on his apron. 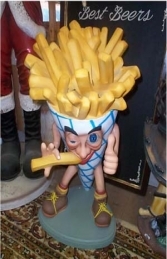 You could image working alongside this model inside or outside your shop to catch the eye of a hungry passer by, it would make such a talking point. We can paint these models to match your working uniforms or just your general shop colours. 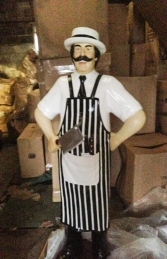 Take a look at the Butcher model which has already been customised for our customers, http://www.lifesize-models.co.uk/gallery/index.php?cat_id=33. This Butcher Model could be used right through the whole catering industry. Not just with butchers but farm shops and also fast food vans.